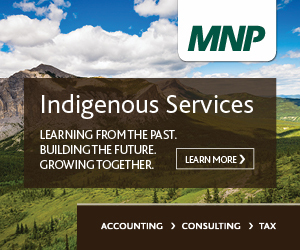 NationTalk speaks with Krystal Abotossaway, a proud member of Aundeck Omni-Kanging First Nations and Talent Acquisition Strategic Sourcing Partner – Indigenous Peoples at TD Bank Group. Krystal speaks about her background and how she injects a little humour by saying she fell into banking before she explains why she chose to work with TD bank. In her experience, TD has proven to be a bank that cares, talking the talk and walking the walk, while also investing in Indigenous peoples. Abotossaway continues to discuss what type of people TD is looking for, in regard to her position in Talent Acquisition, which is explained as anyone from those holding a high-school GED to a master’s degree with the right attitude and motivation.